Home Facebook How to How to Report Fake IDs on Facebook, Without having Account? 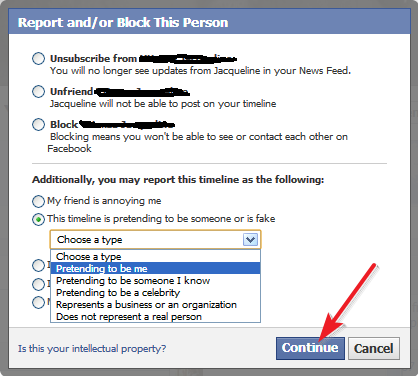 How to Report Fake IDs on Facebook, Without having Account? There are many reasons to create Fake Ids on Facebook may imitate to real people (or) will cheat others etc. But Facebook not allowed fake ids. If someone created an account pretending to be you (or) your friends (or) known persons, you can report to Facebook about these fake ids. Then choose type of fake id from drop down menu. 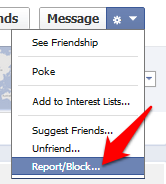 Then click continue to submit your report to Facebook. Your report goes to Facebook security team, they will analyse the report if it is true Facebook will disable that fake account. If you don't have an Facebook account Click here to report fake id, fill the form with correct details and submit to Facebook for action. Do you think that Facebook Ever takes action on this,never!My Personal experience.